I decided to be closer to home for the June 23/24 Field Day. I moved the Falling Waters State Park reservation to a future date. The new venue is Kinsaul Park in Lynn Haven, Florida. The upside is the ample open space for antennas. The downside is that we will have to tear down by 10 PM Saturday Night and set up again on Sunday morning. Overnight is not allowed at the park. Expected position of the 272-foot horizontal loop on the field. Kinsaul Park happens to be where we previously tested the 272 ft horizontal loop. It nicely fits on the field. I am looking at configuring it as a square and feeding the antenna in the center of the South wire. This means the max gain of 40 meters will be North and on 20 meters the max gain will be Northeast and Northwest. Being in Northwest Florida, this orientation favors the rest of the USA to our North. 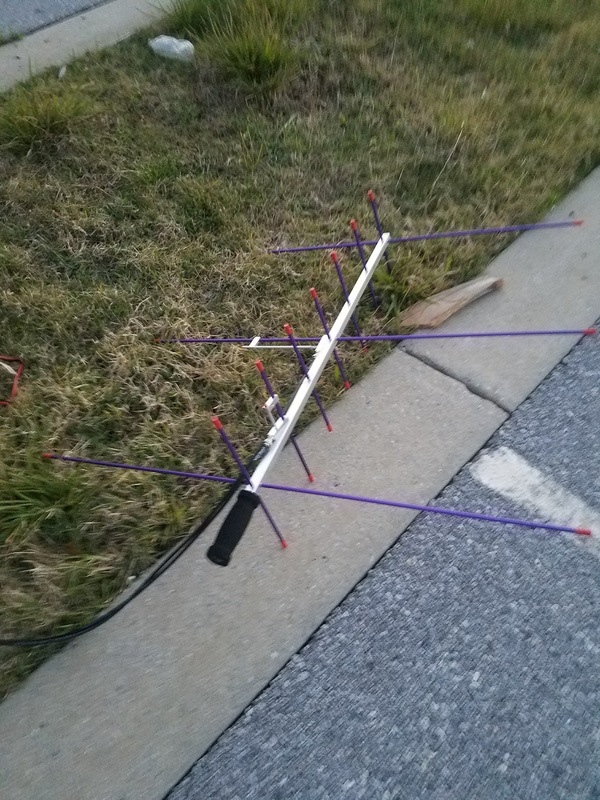 We expect 40 and 20 meters to be the most active, The loop is an excellent 80-meter NVIS antenna. We will be checking 80, 15 and 10 for contacts. There usually is a brief high band opening during Field Day. Our category will be B2, 2-person club/non-club portable using emergency power. The operators will be Dennis WA6QKN and me, Greg N4KGL. Our primary rig will be the Icom IC-7300 with power up to 100 watts. 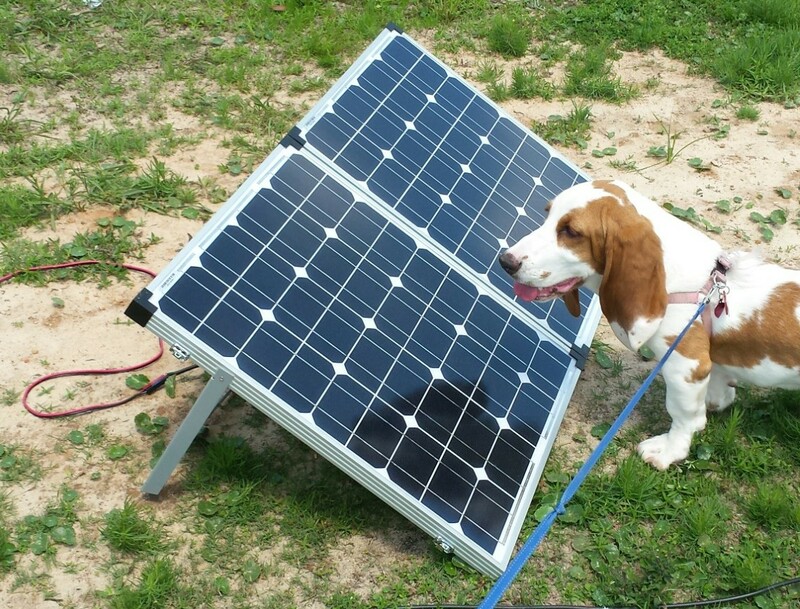 Our source of DC power will be Bioenno LiFePO4 batteries replenished by a 50-watt solar panel. 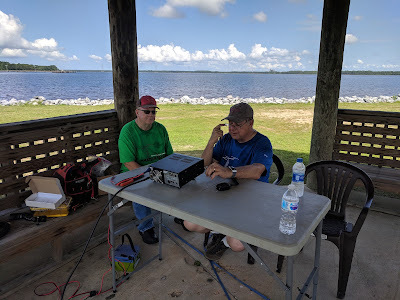 The callsign is N4Y, and the exchange will be 1B Northern Florida. Another attractive bonus is Alternate Power. 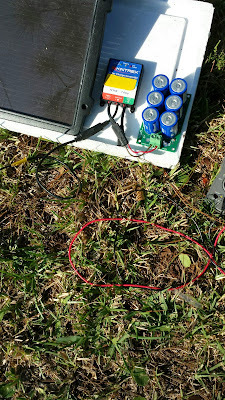 I will charge a supercapacitor bank either from solar or pedal generator, I will try for the five QSOs using the Elecraft KX2. 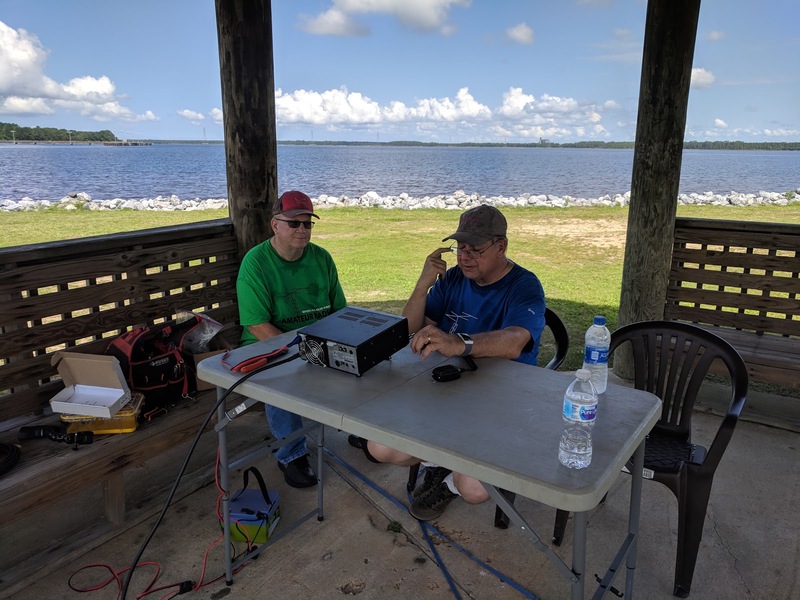 Each QSO is 20 bonus points. Dennis WA6QKN will be a full-time participant this year. We will trade-off operating and logging duty. We have been doing portable ops together for a while. He is the ideal Field Day partner. The weather will be hot, but rain should not be a factor. Mostly sunny, with a high near 88. West southwest wind around 10 mph. Partly cloudy, with a low around 78. We welcome the local hams and the general public to come by for a visit. We are at the West end of 5th street in Lynn Haven. Our setup will begin around 7 am on Saturday. Field Day starts at 1 pm. We will have to tear down at 9 PM on Saturday Night. Sunday looks like a start-up at 7 or 8 and a 1 pm tear-down. Of course, these times are approximate and may be modified. 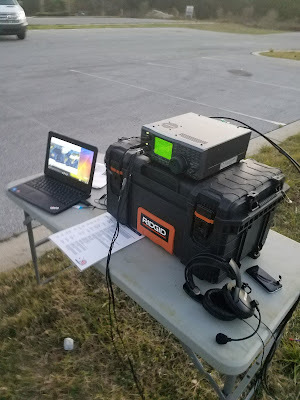 Good luck everyone on ARRL Field Day!